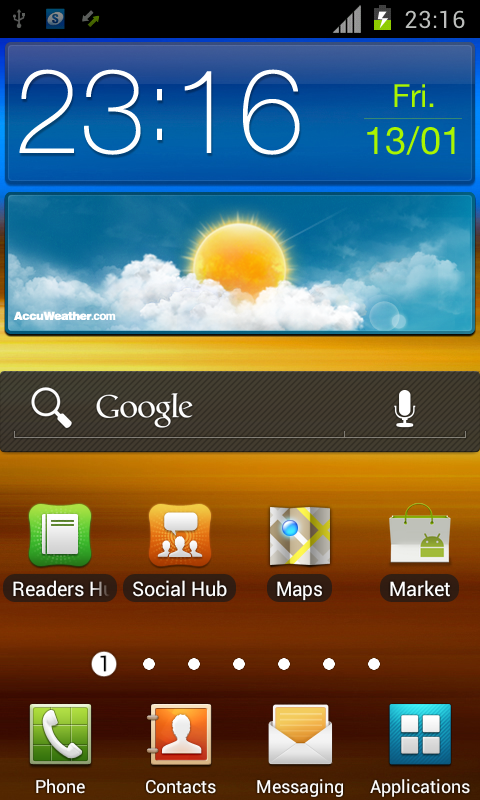 New Android 4.0.3 leak by Samsung for SGS2: I9100XXLP2. After our release of I9100XXLP1 are we proud to bring a newer version!!! Yes the SamMobile crew is working all day! Nevermind it is weekend or not today the release of I9100XXLP2. – Option to use taskmaneger. – Interface: Nothing in case of XXKPA. – Battery: Battery feels better. – Faster: Phones looks faster. – Touch: Touch response is better. Samsung created this rom on January 10 2012. If you want you could download this firmware via our firmware page. And if you want to discuss this rom use our brand new forums! It seems that Samsung is working very hard on their Android 4.0 update for SGS2. Samsung is still using their own TW software. Lots of Android fans are not happy. But in the real world maybe 5% of all Samsung Galaxy S II owners takes care about updates. Samsung combinate a lot of Android 4.0.3 tweaks in their own TW. This will keep the owner happy because the owner knows TW. Check below some screenshots and of course our movie! I also flashed XXLP6, so far so good a stable rom, but music player becomes unresponsive after two songs, unable to connect to samsung to check for updates. Overall it is a good release. Now. Pretty good everything works, even gps, i did factoryreset. Iam using it for daily use, its pretty stable and fast! 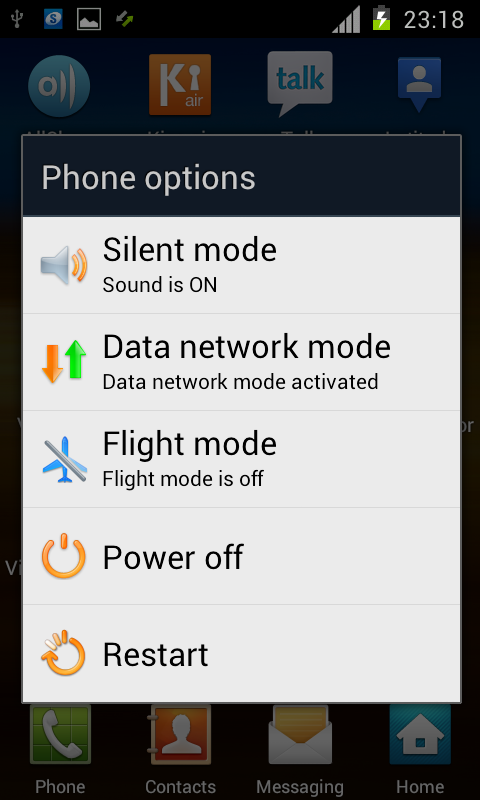 Futher in menu everything become blue like ics style! Its not nearly for the official release. SO i changed my official samsung rom 2.3.6…Please update some nice roms for daily usage..we cant use it..
Samsung is still using their own TW software. Lots of Android fans are not happy. But in the real world maybe 5% of all Samsung Galaxy S II owners takes care about updates. Samsung combinate a lot of Android 4.0.3 tweaks in their own TW. Thats not true! 5% never! is marked as custom rom and shows up the yellow triangle? I need JIG to reset the counter with this rom? I am in India. I have downloaded and installed the ICS ver. I9100XXLP2 from Open Europe and even after restarting the phone many time MARKET still showing SERVER Err 🙁 help me please. Correcting my previous post. 3g and data doesnt work on optus. couldnt find a modem file to make it work. Hooefully they fix it and make it work. Can someone tell me if the scrollable calendar widget has improved or still quite laggy? Is the touchwizz more fluid going through screens if you have widgets such ascalendar, picture frames and weather? Thanks! Tested it now for almost 10 days. Nice for testing but not good for daily usage. @Danny : When is the new firmware coming now? Hi guys could you help me to down grade again my SG2 to the old FW because ICS is not stable. For the Australians out there who want to try it. I installed ICS 4.0.3 and had no 3g. So installed the 2.3.5 modem file (that i knew worked) with this latest ICS 4.0.3 and CSC file. Seems to get data over 3g ok now and seems to work ok now. There are still bugs with it as people are saying above. Looking forward to a more stable release, with updated icons and performance. For a beta version it works ok, but not the best. 2.3.5 is better so far. I updated my SG2 yesterday i have more see not working well like, camera, Bluetooth, HD wallpaper, Internet Browser, Signal Indicator, when I browse internet the samsung sg 2 automatic restart itself.